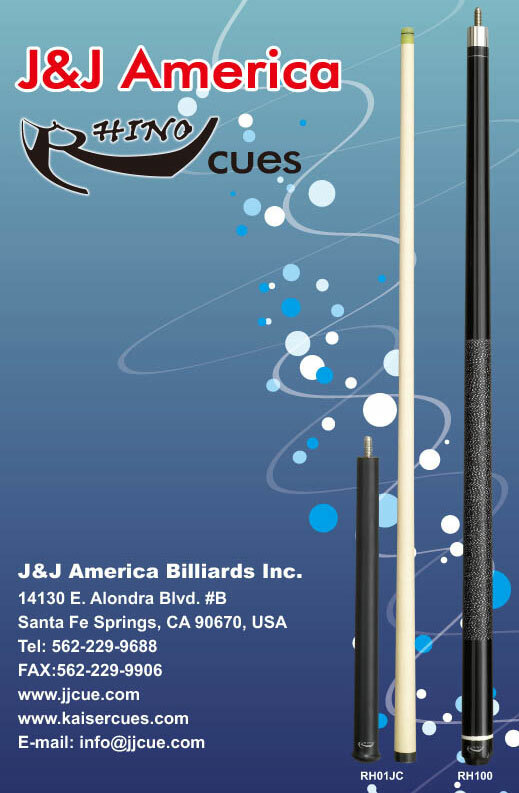 J&J America Billiards introduces a new line of high quality cues at affordable price, price that no one can beat. Combine traditional and modern cue making technology, with quality material, custom finish, these Rhino cues definitely one of the best cues in the market. Left to right. Click on the cue for a clear picture.